Why Italy? It is arguably one of the greatest countries on Earth. It has the best looking people, the fastest cars, the tastiest food and drink, the most fascinating history…OK, well you did ask! Seriously, Italy boasts an extraordinary diversity of cycling opportunities. There is plenty to enjoy and a variety of cycling on offer to suit all levels of ability. So, if you are searching for “cycling holidays Italy” then look no further. From pedaling through the many small historical lakeside villages, visiting the splendour of the hillside castles, villas and churches, or riding right past George Clooney’s front door, we believe cycling is the best way to explore the region. For those that fancy a cycling challenge, test yourself on some of the iconic climbs that have featured on previous Giro d’Italia or Tour of Lombardy professional race classics. About as far north as you can get and still be in Italy, “Domo” as it is known by the locals, is a small but vibrant, frontier town on the border with Switzerland. 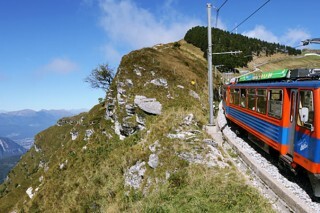 The town is close to the famous Simplon Tunnel and is an important rail hub. The spectacular scenery surrounding Domo make it a popular fuelling stop for hikers so expect to see plenty of people in sturdy boots with rucksacks, and plenty of pizzerias. A couple of years ago Vogogna was awarded the prestigious Orange Flag by The Italian Touring Club, a cycling club started way back in 1894 with a mission to find the most attractive villages and towns in Italy, most of which are well off the tourist trail. Just past Vogogna and signed from the main road is the Chiesa del Sacro Cuore, an interesting church at the end of a cobbled street, well worth a visit. Designer bathrooms and kitchens are probably the last thing on your mind as you reach the shores of Lake Orta but this part of Italy is home to some of the most famous brands including Alessi, Bialetti, Lagostina and Giacomini. In Omegna, just north of the centre, is Alessi’s huge, flagship store and a great place to get those exclusive items not for sale in the UK. Some say this is the best of the lake villages: largely undeveloped and traffic-free with narrow cobbled streets hiding beautiful pastel shaded medieval buildings. Water taxis jostle for trade on the waterfront Piazza Motta which overlooks the tiny island of Isola San Guilio. Legend has it that the island was once the realm of dragons; now it is home to a community of nuns. There are great views in all directions but we reckon the best view of all is from the mini golf course (hole number 12!) perched high above the town by the car park. Far fewer people visit Lake Iseo than its bigger and more famous brothers, but those that do are rewarded with dramatic scenery. In the middle of the lake, and accessible by bike-friendly ferry, is the traffic-free Monte Isola, Europe’s largest lake island at just over 3km in length. It is possible to cycle around the whole island or cycle part of the way and hop back on one of the ferries which stop in 5 different places on the island. 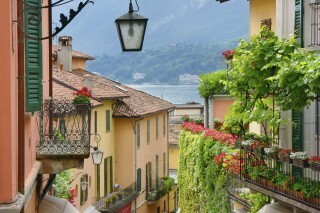 A beautiful village on the banks of Lake Mergozzo. As you pull up to the lakefront, look to the far right hand corner and the shady, interestingly named, Bierra Freelance. The perfect spot for a thirst-quenching cold beer. 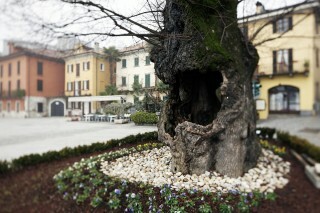 In the centre of the square is a 500 year old elm tree. Legend tells that decisions in the village, not made under its branches are invalid, so perhaps that’s the spot to decide whether to order a second beer? The main action on this lake is centred around the grand resorts of Stresa and Pallanza (part of the town of Verbania) and the famous Borromeo islands that lie between them. 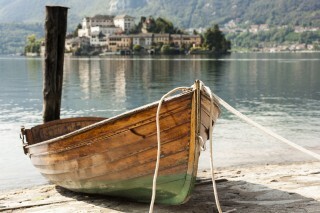 The three islands (Bella, Madre and Superiore) can be visited by boat with frequent ferries from Stresa and Pallanza. 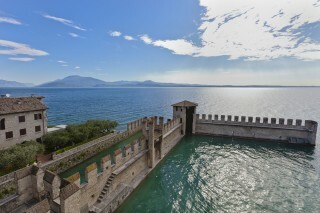 Perhaps the most visited is Bella renowned for its elegant palazzo and Italianate gardens. Parts of Lake Lugano are in Italy but most of it, including the main town of the same name, is in Switzerland. Surrounded by wooded hills with views of the snow-capped Alps, Lugano is a lively commercial and Swiss banking centre with upmarket bars, restaurants and shops. It is also a major music centre with festivals for classical music lovers as well as international jazz and blues artists. At the southern end of the lake lies Capolago station with regular departures up to the top of Mount Generoso where on a clear day it is possible to see Milan and Turin as well as Lake Maggiore and Lake Como. The train has a carriage for carrying bikes making it possible to enjoy the climb up and the freewheel down the other side towards Lake Como. This is perhaps the most famous lake of all and the best way to see it is either by boat, gliding along the shores past the expensive palazzos, or by bike from the top of one of the viewpoints. 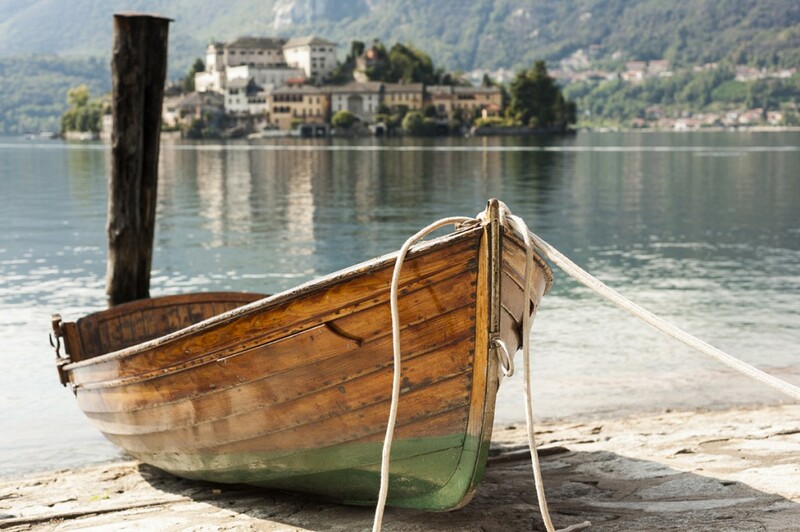 Many have succumbed to the charms of the lake, including actor George Clooney, who bought a villa in Laglio. 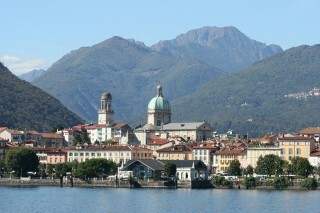 Como and Lecco are the largest towns, with fast train connections to Milan and beyond, and Como is particularly well served by both fast and slow ferries travelling up and down the entire length of the lake. Garda is by far the largest of the lakes, so much so that sometimes it feels as though you are not on a lake at all. 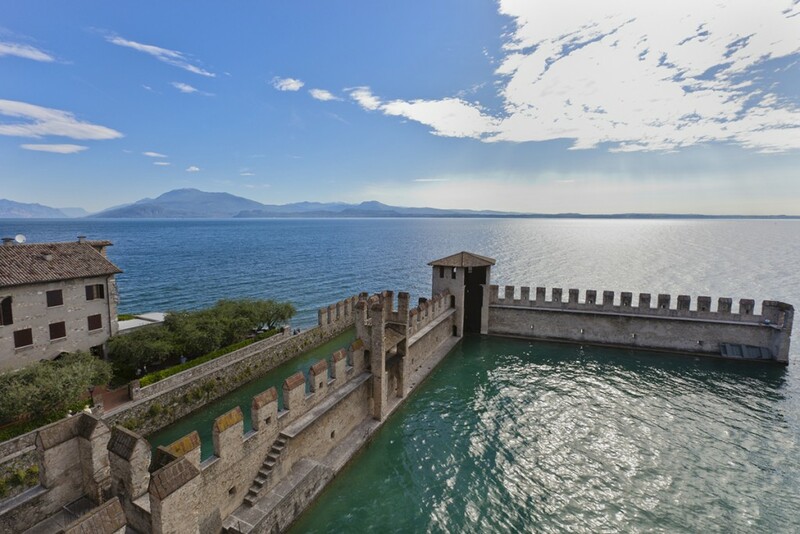 The lake has some fine tourist attractions such as the medieval spa village of Sirmione and other key destinations such as Salò, Peschiera del Garda and the famous wine centre of Bardolino. Some of our routes to Lake Garda go through the impressive Lake Valvestino region where we cycle above the narrow lake beside the high valley walls. Como is a busy commercial and industrial hub. 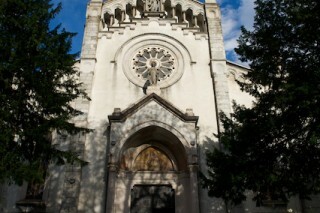 The old town, by the lake, is well worth a visit, especially the Duomo, a fusion of Gothic and Renaissance architecture. There is also a funicular railway, built in 1894, connecting Como with Brunate and offering some great views of the lake and the Alps. 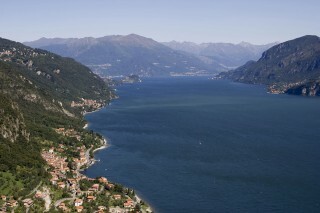 A “must see” and the place where most head for is the centre of Lake Como. Connected by a short ferry ride are the three villages of Bellagio, Menaggio and Varenna – each one offering views across the lake to the other two. 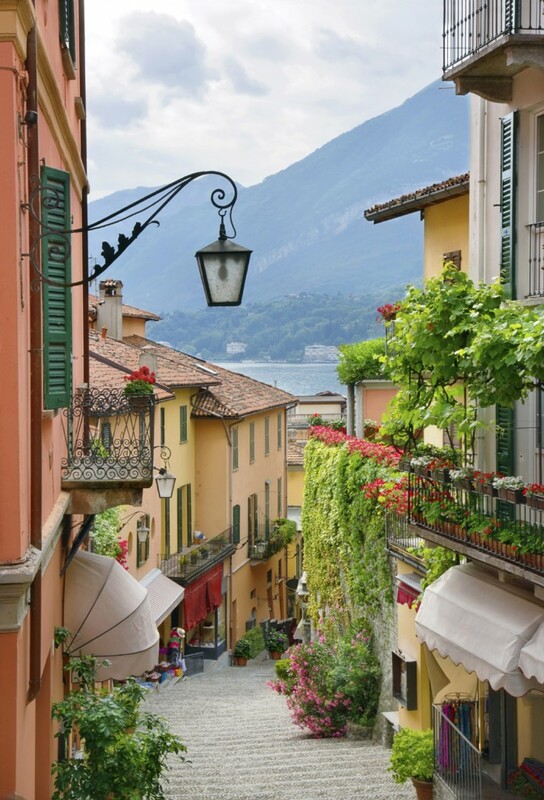 Our top pick is the spectacular Bellagio, often called the most beautiful place in Italy, and also home to one of our favourite restaurants, Silvio, where they even offer a shuttle service to pick you up from your hotel! The triangle of land to the south of Bellagio offers some of the best cycling in the whole of the Italian Lakes. 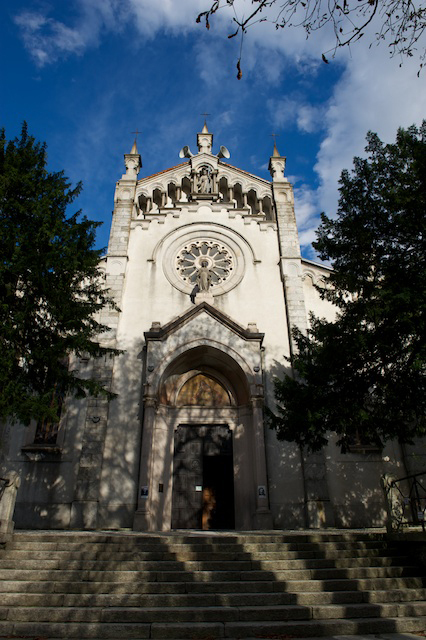 Climb up on your bike (or catch a taxi) to the church of Madonna del Ghisallo, the patron saint of cyclists. Inside the tiny church you will find all sorts of cycling memorabilia including bikes from the classic races neatly pinned to the walls. 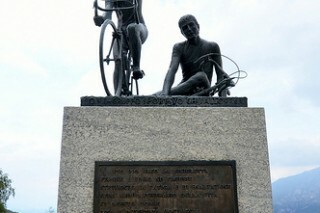 And if that wasn’t enough, right beside the church is a modern museum dedicated to cycling. 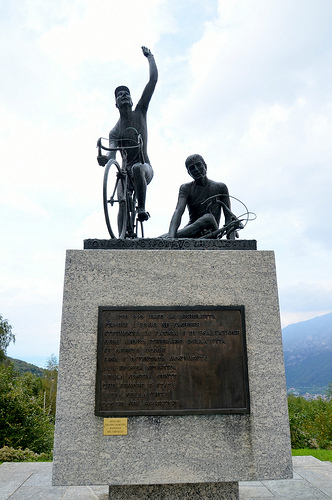 Just beyond lies the Colma di Sormano, a legendary climb of ridiculous proportions! It may be only 1 mile long but the steepest gradient is at 24%. It features as an optional extra only on our toughest routes. 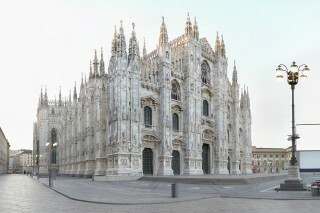 Milan is the design and business hub of Italy and in many respects looks and acts more like a capital city than Rome. There is plenty to see and the city centre is easy to navigate, whether on foot, by bike, by tram or by metro. 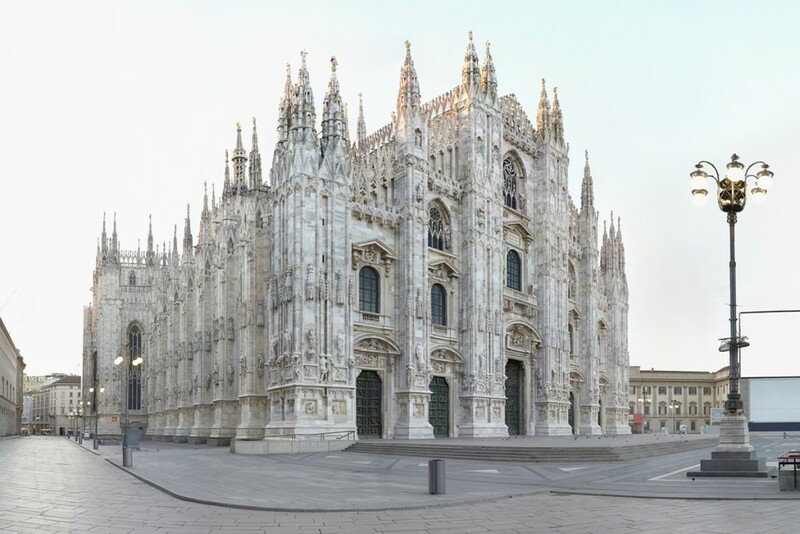 The main attractions are in or around Piazza del Duomo where you can take a tour of the cathedral itself (with great views from the sloping roof), spend lots of money at Prada in the luxurious Galleria Vittorio Emanuele or take in some opera at La Scala. Next door to the Piazza is the Quadrilatero d’Oro, a mecca for fashionistas, where brands such as Armani, D&G, Versace and Gucci compete for your attention. Milan also has much to offer in the way of food and drink, whatever your budget, from happy hour aperitivo’s (with complimentary tapas) to upmarket restaurants and classic cafes. In the same area around the Duomo you will find Luini, a Milan institution that serves Panzerotti (mini pizza dough stuffed with savoury or sweet fillings). All cyclists looking for Sunday brunch (or an aperitivo) should pedal to Le Biciclette, a former bike shop and trendy arts hangout. Bergamo is a fascinating city split into two: the old medieval upper town (Città Alta) sits high above the more commercial lower town (Città Bassa), connected by a nineteenth century funicular. Both the upper and lower towns have much to offer. 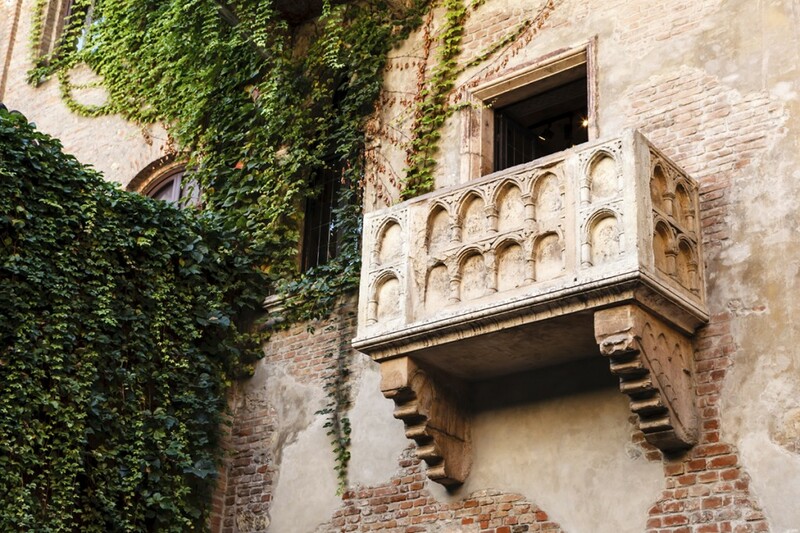 Alta owes much to the Venetians who built it – the Gothic and Renaissance architecture is beyond impressive, especially the buildings surrounding Piazza Vecchia. If you are looking for luck then seek out the Colleoni coat of arms and give it a rub. You will find it outside the chapel at Cappella Colleoni, an impressive building by Venetian general Bartolomeo Colleoni. The family coat of arms bears three testicles – the same number as Mr Colleoni, according to legend. 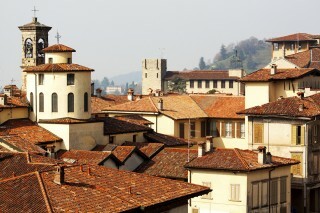 Bergamo’s cultural riches are just as evident in the lower town. And if you are staying here be sure to check out Pizzeria Capri da Nasti, a friendly, family run restaurant offering as many as 250 different types of pizza, all cooked to perfection! Verona is a must see destination, a beautiful Venetian walled city with stunning piazzas, fabulous shopping and a vibrant nightlife. One of the top attraction’s is the world famous Opera, housed in an open-air arena in the centre of the city. The performances run almost daily during the summer season, often late into the night. The other claim to fame is, of course, Shakespeare’s Romeo and Juliet. Yet few people realise that Juliet’s balcony at 23 Via Cappello is actually a fake – Juliet was a fictional character and the balcony (and house) was bought by the Veronese authorities in 1936 to take advantage of the famous story. That doesn’t stop the hoards of tourists who flock to the balcony but what is perhaps more interesting are the thousands of love notes graffitied into the tunnel entrance to the house.